In a large bowl, whisk together eggs & egg whites and wilted spinach, salt and black pepper and any of your favorite add ins divided into each individual plastic freezer baggies. Smash with hands to combine the egg mixture. Drop each sealed baggie into the boiling water. Simmer the bags for 8 to 10 minutes or until done to your desire. Remove baggies from boiling water with tongs and drain on a paper towel lined plate or strainer. 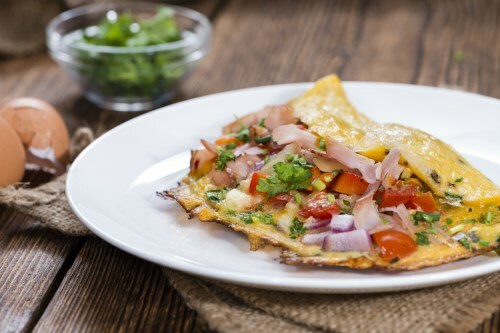 Open baggie and pour the cooked omelette onto each individual plate.